Another look. My bestfriend Mickelli made this fabulous band blazer for me (I’m sure you have seen it in my other looks already), paired up with an lycra oversized graphic (i got on sale btw) and a drop crotched capri pants from kids. I´m so in love with this jacket!!!! 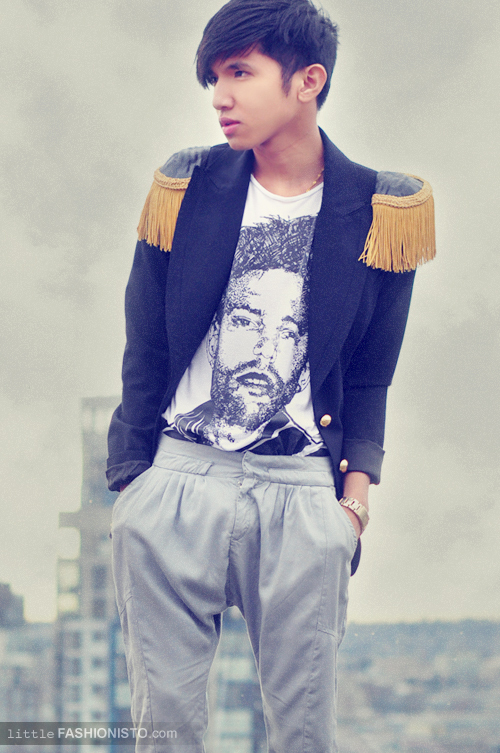 I love the detailing of that blazer, I wish I had a friend to make mines.